Iwata's hoping to streamline decision making, possibly by getting closer to Reggie Fils-Aime. Satoru Iwata will become CEO of Nintendo of America, replacing current CEO Tatsumi Kimishima, who gets a kick upstairs to general manager of the General Affairs Division. This means, among other things, that Iwata will be working directly with President and COO Reggie Fils-Aime, who now reports directly to Iwata. This announcement comes on the heels of a return to profit for Nintendo, despite a lacklustre performance from the Wii U, which has only sold 390,000 units since Christmas. Net income for the year ending March 31st, 2013 was Â¥7,099 million ($71.3 million), a considerable improvement on the Â¥43,204 million loss posted in the last financial year. To improve the Wii U's sales performance, Nintendo's report indicates it intends to concentrate on "proactively releasing key Nintendo titles from the second half of this year through next year in order to regain momentum for the platform." 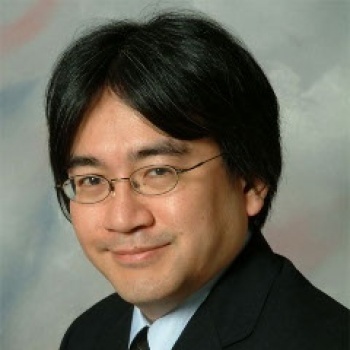 The announcement of Satoru Iwata's move to take personal control of Nintendo of America was described, in Nintendo's press release, as a move intended to "allow streamlined decision making and enhance Nintendo's organizational agility in the current competitive environment." It made a specific point of mentioning that Reggie Fils-Aime will continue in his current role, though clearly Iwata intends to keep a close eye on developments in the North American division.